Alcoa, Inc. is one of the worst polluters on the planet. They are at the forefront of poisoning the air, land and water of Texas, the most heavily polluted state in the nation. Alcoa has grandfathered facilities exempt from the 1971 Clean Air Act. In Texas alone, it has several hundred plants that are accountable for the mounting pollution problems of the state. Rockdale, Texas, located around 50 miles east of Austin, is home to a plant that sprawls over 7,000 acres and runs 24 hours a day, 7 days a week. It is powered by four on-site power plants, three of which were built before the Clean Air Act of 1971 was approved. It contributes to the pollution problems in Austin and the Dallas-Fort Worth Metroplex. The aluminum smelter here discharges roughly 104,000 tons of air emissions per year, including over 60,000 tons of acid rain. Alcoa says that if it were forced to comply with state and national clean air laws, the alterations in equipment would be so expensive that the company would be forced to shut down the Rockdale plant; instead of doing this, they’ll keep the plant running and contaminate the area. 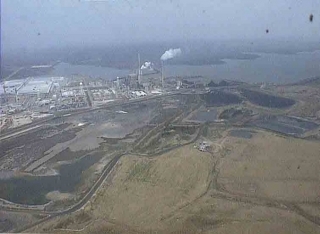 Between the years 1983 to 1987 at a time when they were under scrutiny to maintain clean facilities, Alcoa spent $62 million to upgrade their facilities without consent from the Environmental Protection Agency (EPA) nor the Texas Natural Resource Conservation Commission (TNRCC), blatantly violating federal law. Large increases in air pollution ensued in 1988, including nitrous oxides, particulate matter (which contain human carcinogens), carbon monoxide, and an annual increase of 13,000 tons of sulfur dioxide since completion of the modifications. Although Alcoa blatantly violated federal law, neither the EPA nor the TNRCC pressed charges. Since 1987, more than forty-seven Alcoa facilities have been cited for pollution violations by state and federal regulators. In one instance when the EPA opposed Alcoa, they along with the Justice Department filed claims against the company as reported March 14, 2000. In the agreement, Alcoa consented to pay about $8.8 million to clean the Mississippi River Basin, reduce hazardous waste generation, and research new air pollution reduction technology. In Port Allen, LA, Discovery Aluminas, Inc., an Alcoa subsidy, pleaded guilty to contaminating the water and was fined over one million dollars by the state and the federal government. 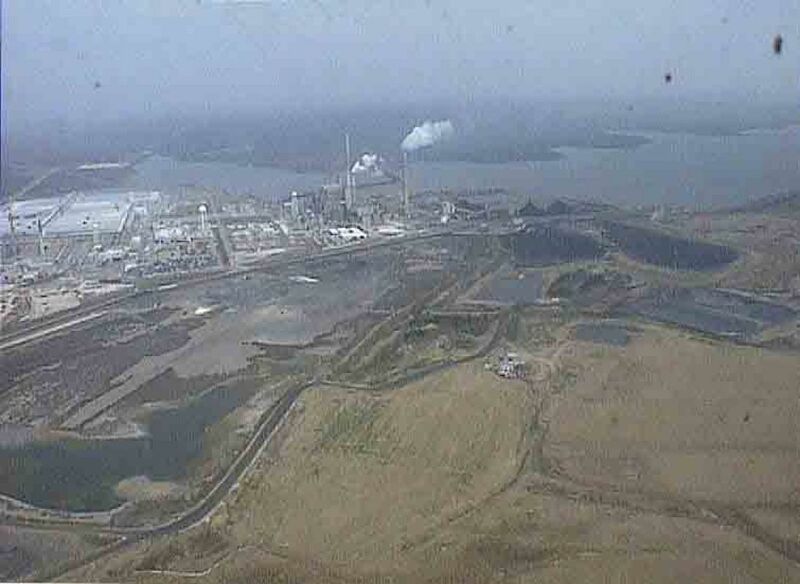 In Point Comfort, TX, Alcoa was fined $181,400 for emission violations in its bauxite refining plant. Alcoa was also cited for illegal export practices. They shipped potassium fluoride and sodium fluoride to Jamaica and Suriname on 50 separate occasions without obtaining the required Commerce export licenses, then lied about it. They were hit with a $750,000 civil penalty. LAFAYETTE, Ind. – Alcoa Inc. will pay $550,000 to settle a federal lawsuit alleging the aluminum maker’s aerospace products plant violated water pollution limits. ABC News, December 23, 2004 -A Perth magistrate has imposed a $60,000 fine on mining company Alcoa for polluting the air around its Wagerup refinery. Alcoa pleaded guilty to the pollution charge that related to Bauxite residue dust blowing over Wagerup and Yarloop, south of Perth, in November 2002.
will be your new Wagerup. But you want a job so you kill yourself for half the wages, paid from Hungary! (in USD) that the workers got in 2007, thank you Mr.Ramos of Geneva. Gender equality, another favorite with local politicians- Very few women are equipped physically to take the heavy work, the turn over and current numbers show this, but with the office women included, it stops the place being like a mens penetentiary. Women must not be in the potrooms before conception and during pregnancy, as the magnetic feilds do cause documented fetal damage. But cutting production costs and raising production figures is what drives the corporation. The alcoa middle- management lies about everything. Low production is always the fault of the worker not the outdated methodology they use, or their incompetence to respond to the situation and innovate. We must leave them all to their own corporate hell, until it freezes over again. ps: why is the original workers accommodation still there- will we see refugees from Europa.